The celebrity wedding of Nigerian popular entertainers Banky Wellington and his beautiful star actress bride Adesua Etomi is arguably the biggest showbiz wedding of the year. 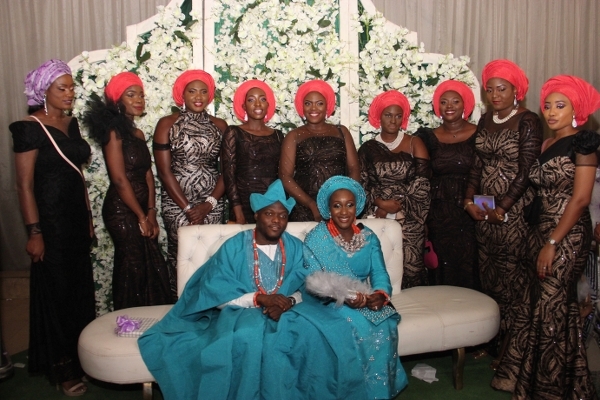 The lovebirds held their traditional marriage in grand style on Sunday November 19th, 2017 at the Landmark Event centre Lagos,where a lot of stylish ladies stepped out in mind-blowing designs sown with beautiful pink floral patch Aso Ebi.First amongst the best dressed is the bride Adesua who rocked mind blowing designs by Toju Foyeh. 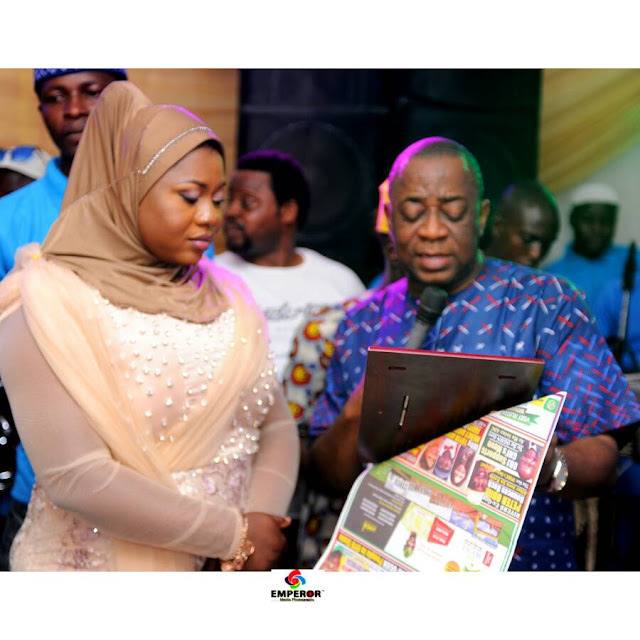 Star actress Omotola Jalade dazzled in a cream outfit designed by Hope Fashion, music star Tiwa Savage wore a classy look by April By Kunbi,Tv star Stephanie Coker rocked a hit piece from Style Temple, actress Osas Ighodaro stunned in a mono strap design by Iconic Vanity, billionaire Mike Adenuga's daughter Oyin was garbed in a full piece by Tubo. 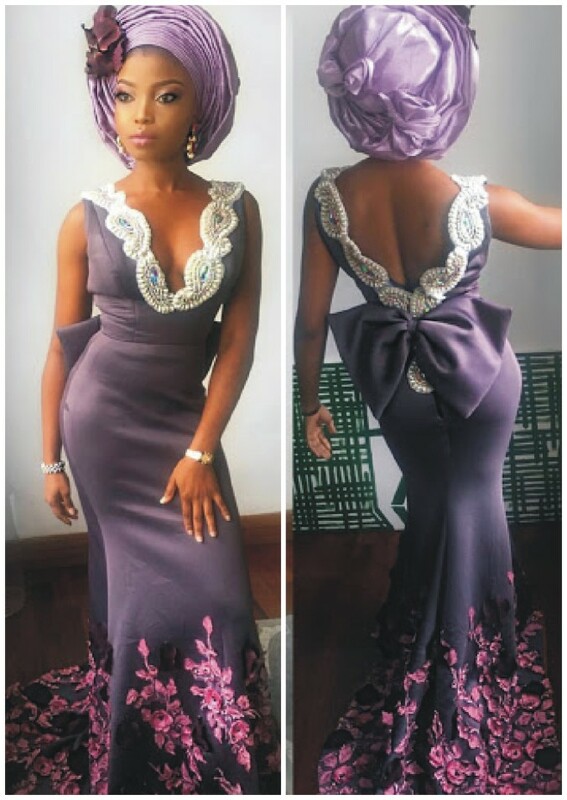 Celebrity On Air Personality Toke Makinwa looked glam in a mono strap design by Funke Adepoju.Among other best dressed stars were the likes of Kiki Omeili, Beverly Naya, Linda Ejiofor, Juliet Ibrahim,Nancy Isime,Toolz, Annie Idibia, and a long list of others. Here are some breath taking designs from the grand wedding ceremony.